The Puppetmaster franchise is still running strong over at Full Moon and here is a list of the Top 10 Puppet Master facts. Below the video, you will find a brief list of the fun facts. Many long-time horror fans will have memories of renting these films from the local video rental establishment. Puppetmaster (1989) and Alfred Hitchcock‘s The Birds (1963) are both set in the California town of Bodega Bay. 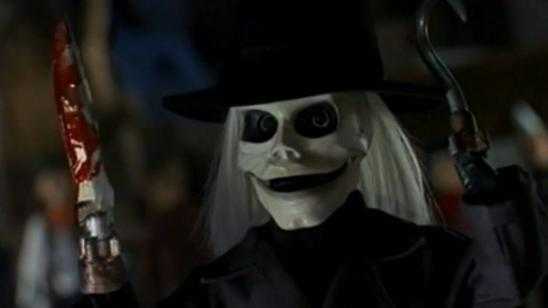 Puppetmaster was originally thought to get a theatrical release but released straight to video. Producer Charles Band decided to release straight to video. The Puppetmaster remake was canceled to stay consistent with its fans. An 8th puppet was rejected in the original Puppetmaster (1989), it was a ninja with six arms and big guns. He was added to the Puppet Master III: Toulon’s Revenge (1991) as a cowboy with six arms and carrying guns. The Puppet Master franchise has its own comic books. 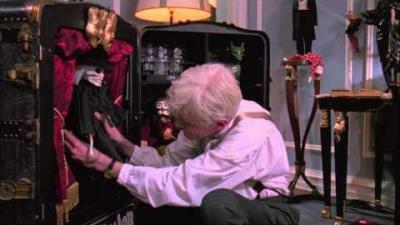 The puppets in Puppetmaster (1989) have less than 5 minutes of screen time. Puppet Master now has ten entries in its franchise. The hotel in the Puppetmaster (1989) film is the size of a barrel with the hotel scenes being shot on sets. Puppet Master vs Demonic Toys (2004) was created around the same time as Freddy vs. Jason (2003). Charles Band named the original film Puppetmaster because the previous film he had worked on, The Dungeonmaster (1984), received praise for its title. Official Synopsis: Neil Gallagher found the secret to Toulon's puppets who come to life and then killed himself. Alex and his psychic friends come to investigate and are stalked by Toulon's puppets who have a variety of strange traits including a drill for a head and the ability to spit up leeches.